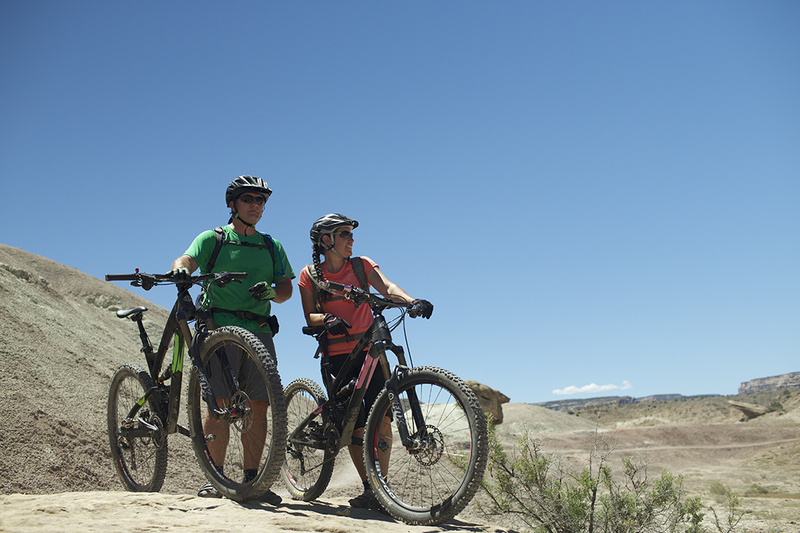 Mountain biking on Grand Junction’s epic trails will earn you some serious street cred. Home to some of the best singletrack in the country, adventurers from all over world make the pilgrimage to the Western Slope to prove themselves on the steep ridges and technical slick rock that define mountain biking in western Colorado. Follow our three-day biking itinerary to earn bragging rights for years to come. Fuel up for the day downtown at Main Street Bagels, where aromatic coffee, homemade bagels and breakfast sandwiches will sustain you through an active day. Head over to the Lunch Loops Trail System to get started on your adventure. Even though it’s affectionately named the Lunch Loops because it’s so close to downtown that locals can pop over for a ride on their lunch break, there are enough trails to keep you busy all day long without running into crowds. Famed trails like Andy’s Loop and the Ribbon provide riders with steep, fast and technical descents that will keep you on the edge of your seat. Now that you’ve earned a burger and brew, head to Handlebar, right down the road from Lunch Loops. This biker-friendly restaurant has more than 25 beers on tap and serves up big juicy burgers and loaded fries. Check in at the bar to borrow a bike lock while you relax and share epic stories of your day with friendly locals, who are happy to share tips on some of their favorite area trails. Octopus Coffee in Grand Junction is open bright and early at 5:45am and takes pride in offering locally sourced, organic, made-from-scratch food. 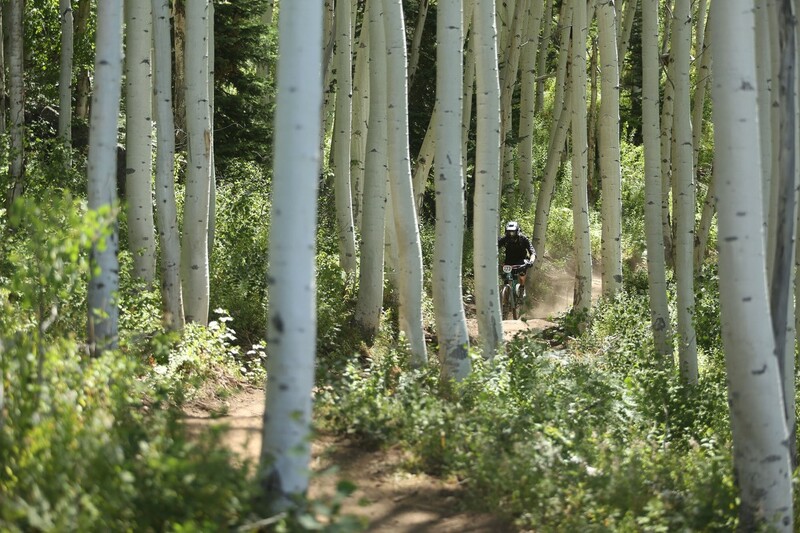 Once you’ve had breakfast, head toward Fruita, a small town known for legendary biking. The Kokopelli Trail System has enough trails to keep you entertained for as long as you can stay in the saddle. Rides like Mary’s, Rustler’s, Horsethief Bench and Steve’s loops will take you along the edge of stunning canyon walls, let you ride right above the Colorado River and provide jaw-dropping scenery no matter what direction you take. For an even wilder ride, check out Mac Ridge or Moore Fun. Want to relax afterward but stay amid nature’s elements? Head over to Highline State Park, a great place to have a picnic or barbecue and enjoy the afternoon. Fishing, stand-up paddleboarding, boating, wakeboarding and waterskiing, if you have any energy left, are all available. Next stop, the world’s largest flat-top mountain: the Grand Mesa. As you pass through the town of Mesa, stop in at Blink for a caffeine fix and their famous egg casserole. The County Line Trail is a 7-mile loop and a perfect introduction to riding on the Mesa. Rolling terrain with a few technical spots takes you to a lookout point, allowing for unbeatable photo opportunities of Island Lake. For views that can only be described as spectacular, take a lap around the Flowing Park Loop. With pine forests, lush aspen groves and unobstructed vistas spanning all the way to the San Juan Mountains, this 15-mile loop delivers breathtaking landscapes and stellar riding. On weekends, the chairlifts run at Powderhorn Mountain Resort, allowing you to catch a ride to the top to rip down trails that wind through forests, aspen groves and wide-open spaces. The Powderhorn Resort rental shop staff will make sure you have everything you need, while trails of varying difficulty satisfy novices and experienced downhill veterans. If you’re up for the challenge, you can earn your turns by hiking the Stagecoach Trail up to the top, then powering down the mountain — there’s no charge for access. When you’re done riding or are in between laps, pop into the Powderhorn Pub at the base of the mountain to grab a bite. The Sriracha chicken wontons and Palisade Brewing Company suds taste even better after an adrenalin-filled day on the mountain. Bonus: Unbeatable views are also on tap here.